As we see the back of 2018, maybe it’s time to reflect on it in a historical context; 2018 was the 100th anniversary of the end of World War One – the Great War, the War To End All Wars. It’s perhaps sobering to think that 100 years ago Europe saw the year ahead as one where they would try and put Europe back together again – how times change! Whatever your opinion about the ongoing shenanigans surrounding the departure or otherwise of the UK from the EU, we would never have been able to have had the debate if it hadn’t been for those who fought in that, and subsequent wars. This entry was posted in Opinion and tagged street photography on January 1, 2019 by Doug. 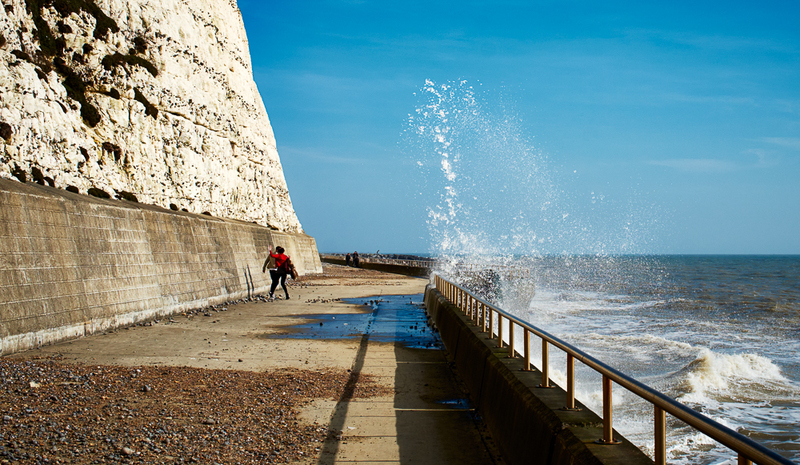 I love the seaside – almost regardless of the weather, which has been just as well this summer! There’s something in the air, apart from salt and the smell of seaweed. People seem to change when they are at the seaside; they become more relaxed and develop a sense of play. 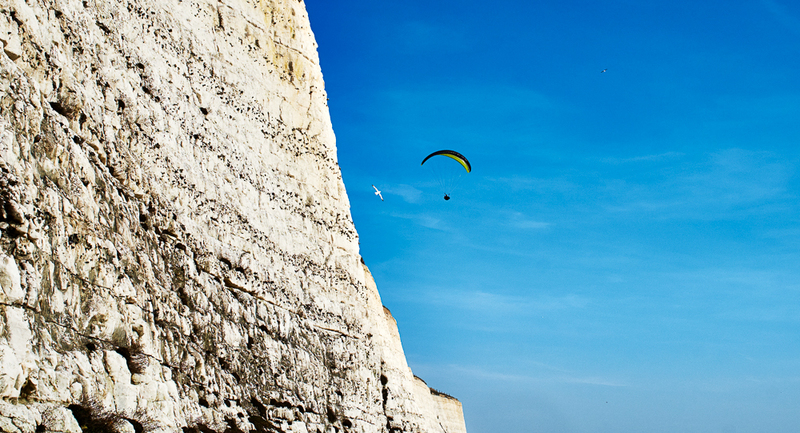 I visited several beaches on the South Coast to try and capture that sense of play. It was a tough job visiting beaches on sunny days but I had to take it on. Taking some inspiration from JS Lowry I created images where the people were small and indistinguishable but their sense of involvement with the sea was clear. This entry was posted in reportage and tagged Landscape, reportage, silhouette, street photography on September 28, 2017 by Doug. Okay, I’ve been away; I’m sorry. I’ve spent most of the time out and about exploring the streets. It’s been fun, although my feet haven’t always agreed. I’ve met some great people and photographed most of them. 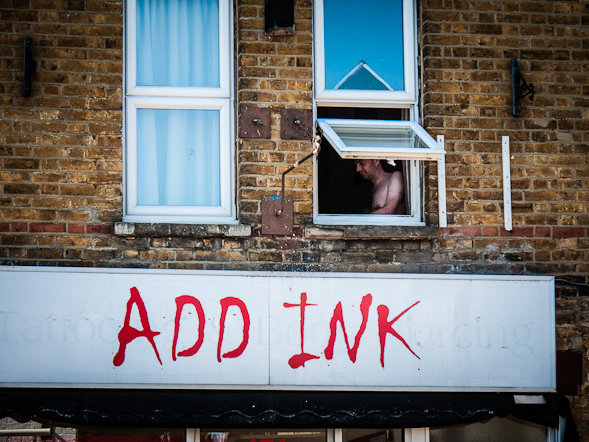 I’ve also been surreptitious; I’ve been doing some street photography and below are some of the results. Please enjoy and as Arnie said – I’ll be back. This entry was posted in New work and tagged black and white, Chertsey, Douglas Kurn, London, Photography, street photography on May 15, 2017 by Doug. Three of my black and white street photos were nominated for the Spider Awards, and one managed to get a “Honourable Mention”, which is all quite exciting. This entry was posted in Awards and tagged black and white, Douglas Kurn, street photography on January 6, 2016 by Doug. Zeiss Touit, to who? To me! I was recently contacted by Zeiss Lenses, and asked if I would like to test their Touit range of lenses. Now I own some Zeiss lenses but had never heard of the Touit range, and a bit of research led me to the Zeiss product page, and I realised that I didn’t have a suitable camera. Luckily Zeiss did and a shiny aluminium case complete with two bodies and six lenses duly arrived! Why six lenses when there are only three in the Touit range? Well, Zeiss had sent me the Sony NEX-7 and the Fuji X Pro-1, which are different mounts so there were three E mount and three X mount lenses. Both of these cameras are mirror less compact cameras with APS-C sensors. The Sony has a quite impressive 24MP chip, whilst the Fuji has a very capable 16MP chip using Fuji’s unique X-Trans sensor technology.Both of these cameras are small and lightweight and very easy to carry around, so when Zeiss said I could photograph anything apart from people portraits and night shots, I decided to just take the cameras with me everywhere and photograph things because I could! Now I have to come clean here – I found the Sony NEX-7 to be possibly one of the most pointless cameras I have ever used. The camera doesn’t have a cable release facility, has no easy way of syncing flash to it (because of it’s unique flash hotshoe, which prevents the use of Pocket Wizards, and none of my hotshot PC adapters would fit it either) and the autofocus speed is rubbish. If you leave the camera in AF mode it continually hunts to try and be somewhere near in focus when you want to take a picture, which is very disconcerting, and putting it in manual mode allows you to use a button on the back to autofocus but it is painfully slow. If you use manual focus the image in the viewfinder enlarges so you can easily see what you are focussed on, which is its saving grace. The complete lack of cable release I just don’t understand. There’s a 24MP sensor so at some point you are going to want to put it on a tripod and take some more considered shots. 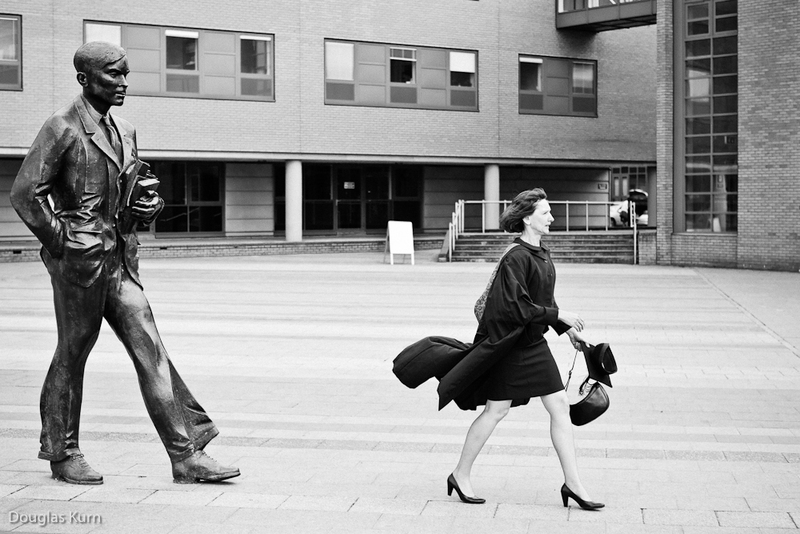 The Fuji X Pro-1, on the other hand, I found to be an absolute joy to use. It uses an old fashioned manual screw in cable release (I had to dust mine off), has a sensible hotshot that takes Pocket Wizards and normal PC cable adapters, and it’s AF performance is very good. I should add that this was using the latest firmware for both the camera (3.20) and the Touit lenses. Apparently early versions of the firmware were not so good but the upgrade is free and easy to do. The lenses have an aperture ring, and the shutter speed and exposure compensation are accessed via dials on the top. Very retro but very lovely! Now I keep mentioning autofocus, and in what is a first for Zeiss, the Touit lenses are all autofocus, and I have to say they performed admirably. The following two shots were taken pretty quickly and the Af grabbed focus in both cases with no problem at all. The Touit lenses were quite different to my other Zeiss lenses, and were of a plastic construction, but yet they still felt quite solid and the aperture ring and focus ring movements had that lovely Zeiss feel to them. Zeiss are obviously keen to emphasise the quality of construction as can be seen in this Apple style video. Overall I found them to perform admirably and I have put some images here on Flickr. I will be adding more images over time. This entry was posted in Product Review and tagged Douglas Kurn, Fuji X100S, Fuji XPro-1, Photography, street photography, Zeiss on May 28, 2014 by Doug. The Association Of Photographer’s (AOP) online exhibition featuring members work that celebrates the theme of British Spirit in this Jubilee and Olympic Year is online now (see it here – http://home.the-aop.org/current-online-exhibition). My submission entitled Jubilee Flags is part of the current exhibition and is being used as the lead image in the article about the show in the AOP’s Image magazine (cue whooping and cheering). A lot of the images are available as limited edition prints direct from the AOP, and the exhibition runs until September 12th, so check it out when you get a moment. 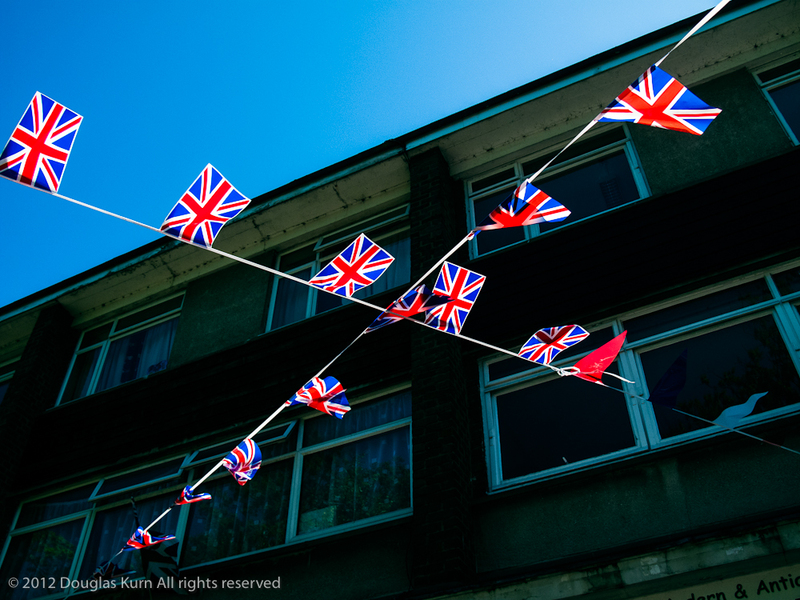 This entry was posted in Exhibition and tagged AOP, Association of Photographers, British spirit, Douglas Kurn, exhibition, Jubillee, Photography, street photography, Union Flag on August 2, 2012 by Doug. I’ve just discovered that this photo was awarded Nominee status at this years Black and White Spider Awards – that’s the first time I’ve had success with the Spider Awards, although I have managed to get 3 other photographs nominated in their sister awards – The Photography Masters Cup. This entry was posted in Random Shots and tagged black and white, Douglas Kurn, person, Photography, reportage, street photography on June 12, 2012 by Doug. Saw this walking back from the bank, and couldn’t resist it! The tattoo shop only recently changed it’s name from something much more boring so thanks to them. This entry was posted in Random Shots and tagged person, Photography, reportage, street photography, tattoo on June 8, 2012 by Doug.